First day just chilling in ages. Saying that, I am planning to redraft so hey ho. Saying that does writing really count as work? I thin not! Despite the option of a lie in being available, five sixths of the family are up and sitting in the front room of our Center Parcs cabin, watching Red Dwarf. I think if I ever did write a sci fi book (and I have started short story) I’d definitely have to use Red Dwarf for inspiration, damn fantastic show. Emile manages to leaves the Governor’s house and now has the chance to escape, heading for the Western side through the timberyards of the city whilst the others are getting bogged down in fighting off the zombi attack. It was during this time that my image of the city’s history started to come together. I actually wrote this in but at the moment I’m considering shifting it around as I think it came in at the wrong moment. I guess what that redrafting is for. By now I had the Eleven Kingdom to the left of Abendale (though this is altered now) so I figured that they couldn’t just be a chop all the trees down society but a people who live more in tune with nature. I didn’t want a hippy nature loving population but a humanity who simply doesn’t absorb the resources around them till devastating everything. 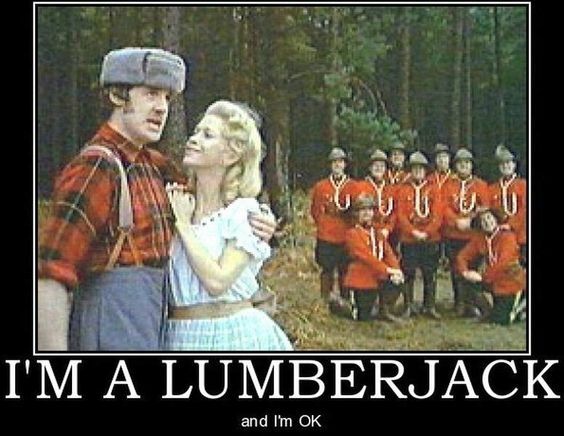 A biology teacher, I’ve studied deforestation and the rotation systems of lumberjacking designed to provide timber production that can be maintained rather than wipe out ecosystems. I also come from the most mining based country in the world (Wales! Wales!) where the miners would meeting together on the way to work and catch the trams to the bottom of the pit. It all became a picture of the lumberjacks meeting together as they travelled to their work, cutting timber all day as the sung (no I wasn’t thinking of the dwarves in Snow White!) and making their way home tired at the end of the day. Next PostNext London’s burning! London’s burning!